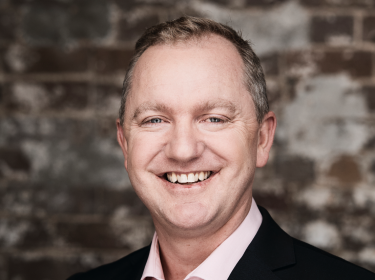 The simmering war between Nine Digital and Yahoo7 over audience numbers has turned into a nasty public spat with the two rival publishers suggesting foul play is at work in the reporting and that each one is ahead of the other. Yahoo7 have been busy spruiking its tech/data/content credentials and in the process have used stats to show it has more unique users than arch rival Nine Digital. The research was unveiled to journalists at a breakfast in Sydney yesterday, which was attended by and reported on by B&T. Read the article here. However, Nine Digital was swift to seize on Yahoo7’s statements and quickly fired off some missives of its own. 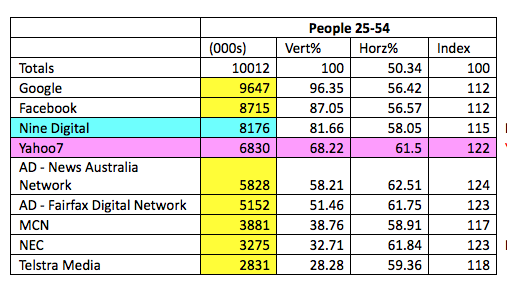 Also included was this chart that appears to confirm Nine is well on top of Yahoo7 when it comes to audience numbers in Australia. Since the publication of Nine’s quotes, Yahoo7 fired back with a statement that read: “We stand by these audience numbers which reflect only owned and operated assets. Yahoo7 does not include audiences from its extensive third party ad network, we have reported the numbers just as they appear in Nielsen under parent entities.